"Another season, another batch of our world-famous Non-iron Twills. I must congratulate you gents on your taste; if these shirts didn't keep proving so popular, we wouldn't be able to keep making them. This season's new shades are a fetching violet and yellow - choose one, or plump for both like me." "The most popular shirt we've ever made - soft, pure cotton and utterly non-iron." Not so much for this purchase but I tend to buy shirts en bloc then store them until I want them. I purchased some about 12 months ago and only just started opening them. I opened a white shirt and I spotted the front yoke was not properly stitched. I reported it to Customer Services who came back with a "you are outside of your generous 6 month guarantee" message. Very disappointing for a business I have bought well over 200 shirts from over the years and I am now thinking of changing my provider. But this delivery was fine, however, I felt so scarred I had a compulsion to open them all up and check them out which caused a huge argument with my wife, "why are you opening them when you won't wear them". So overall a poor experience. Response from Charles Tyrwhitt: While I am sorry to hear of your disappointment with a previous purchase, I can see that our Customer Service Team has been in contact regarding this to discuss further. I hope that regardless you have found your shirts from this recent order to be of the high quality we are proud to offer, and that you have experienced before. 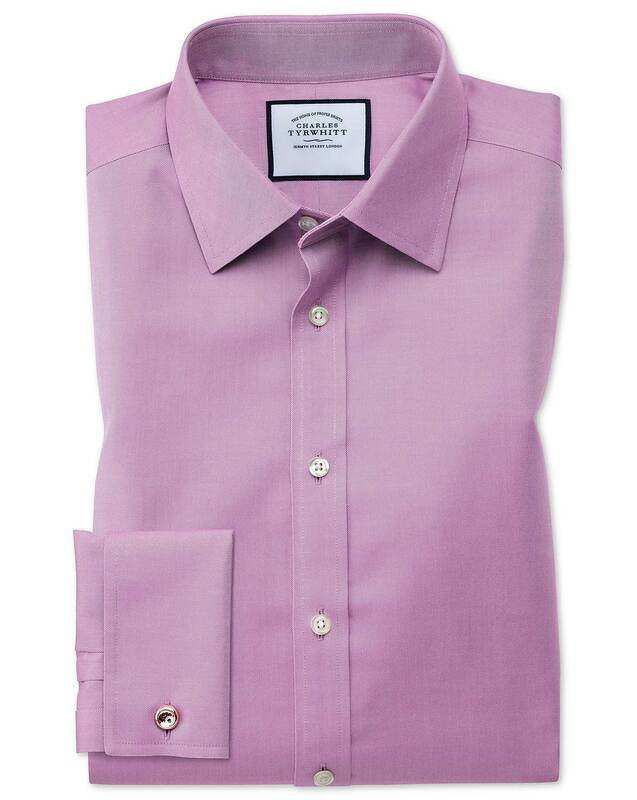 As previous quality shirts taylor the style and fit for you. A quick delivery as well.